I will be going out on maternity leave this week and wanted to let you know in my absence that you can reach out to Frank Robinson on our staff. Frank will be trouble shooting issues and helping find answers for the next few months. Senate Environment will meet on Thursday with a recycling agenda focusing on electronics and food waste. John Gray from the DEP has been invited to discuss the proposed changes from the DEP on the electronic waste legislation. You might recall that the bill has already passed the Senate, but Senator Smith wanted to hear from DEP and then talk with the Assembly sponsors. 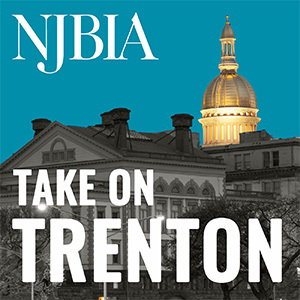 NJBIA has been involved in talks with the DEP, but has not seen finalized proposed changes. Also on the agenda is food waste recycling, S-771 (Smith, Bateman). This bill was held over from the last agenda, and Senator Smith asked for suggestions to change the legislation. NJBIA has been opposed to the bill but did give the Senator comments that included giving charitable donation credits, calculating transportation costs, and opposing additional RECs to landfills.